If you're looking for the best charity gifts you can find online to inspire and warm the heart of your friend or loved one, there are fantastic options on the internet. These seven charity gift programs will bring a huge smile to the face of your gift recipient. 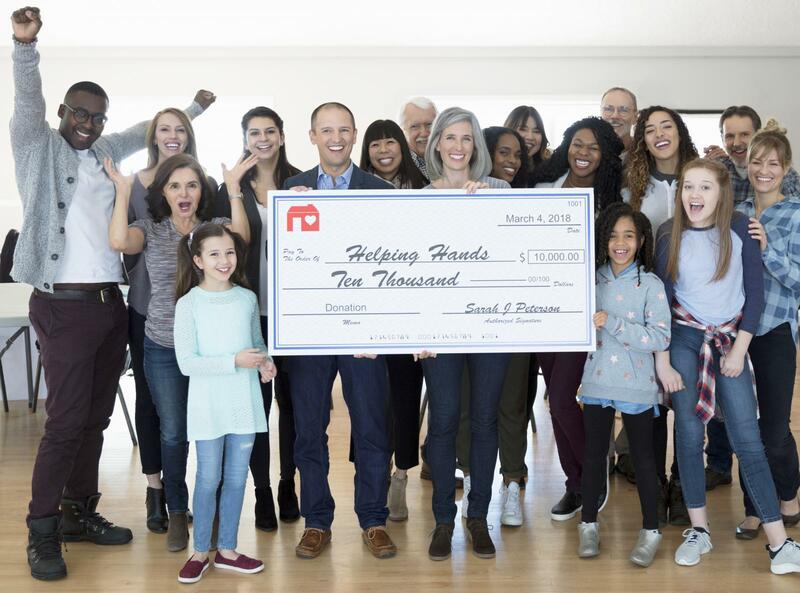 This charity won the title of "Most Awesome Charity Kids Love Giving to at the Holidays" as ranked by The Balance Small Business. However, the recipient of this gift donation doesn't have to be kid to love it. Oxfam Unwrapped provides supplies to individuals in impoverished areas. You can help plant trees, give a woman the training she needs to start a small business, or buy a desk so a student can have a better learning experience. Oxfam will send cards to gift recipients to let them know a contribution has been made in their honor. Direct Relief is a well-run, efficient operation that sends donations, resources, and people all over the world to provide relief to poverty- or disaster-stricken locations. It's no wonder Charity Navigator's top ten charities list published at the end of 2017 gives Direct Relief the coveted number one spot. It works in similar ways to religious-affiliated charities with its global humanitarian focus, but it is a secular organization, which makes it an especially helpful option for people who don't want the gift to have religious overtones. When you select its Give a Gift in Honor or Memory option, Direct Relief will send a gorgeous card to the person letting them know about the donation. Compassion International has been ranked as one of the top faith-based charities in the world for its responsible use of funds and its success at helping children from impoverished areas around the world gain access to food, clothing, and other basic needs. It is also one of the only charities dedicated exclusively to child sponsoring. The recipient of the gift donation will receive handwritten letters, photos, and even hand-colored art from the child that is being sponsored. It is a tremendously rewarding gift and worth every penny, but it is also a bigger commitment: the child sponsorships are recurring monthly donations. Ranked the second most awesome charity for gift donations by The Balance Small Business (linked above), Heifer International assists poor families around the world by providing them with livestock and the training they need to use the animals as a source of continuing nourishment. For set donation amounts, you can order cows, sheep, llamas, water buffalos, goats, and many other useful animals in the name of friends and family members. This unique touch makes the gift more meaningful than a simple monetary donation, and the site's printable gift cards make it easy to share news of your gift with the recipient. If you give your friend or family member the gift of new rain boots, they will be in for a treat if it's a Roma Rain Boot. Besides having a beautiful design, every new pair bought sends a donated pair to a needy child in an impoverished area in the world. Roman Rain Boots is ranked as one of the top online gifts that give back by Good Housekeeper. Cotopaxi has a similar idea to Roman Rain Boots: for every item of outdoor gear and activewear you purchase for your gift recipient, a percentage of funds is donated to help impoverished areas of Ecuador with a special emphasis on the people of the Andes. In addition, the recipient of the gear will also receive a handwritten thank-you note from a refugee teenager who is benefitting from Cotopaxi's work. Business Insider ranked it as one of the top online gifts that give back in 2018. If you'd like to do something for military families, the Children of Fallen Patriots Foundation is a superb choice. Cool Mom Picks ranked it as the best charity for veterans and their families. Their primary goal is to help children of fallen veterans pay for college, and it's been wonderfully successful so far. When you donate, you have the option to give in another person's name, and that person will receive a card in the mail from the foundation.